The Alfa Romeo 159 has been discontinued and its replacement won't arrive until 2013 at the earliest. Fiat will soon be parting ways with the Alfa Romeo 159. 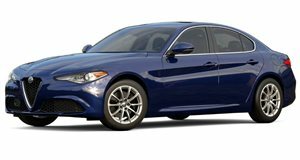 The Italian automaker has reported that the 159 has been discontinued from production at the assembly plant in Naples, Italy. Some last minute 159 buyers may have some luck because the sedan has been stockpiled by dealers far ahead of the plant&apos;s temporary closure, which is being retooled for Fiat Panda duty. The 159&apos;s demise is the result of a couple of factors, such as an edgy front end that makes for bad aerodynamics. And despite the fact that it was built to meet all U.S. regulations, the 159 never made its way to the States. With the absence of the 159, Alfa Romeo and Fiat will have to fill the gap somehow. The Fiat Bravo, Lancia Delta nor the Alfa Giulietta can pass as a compact sedan. The 159 is expected to be replaced by the Giulia but that won&apos;t be seen in dealerships until 2013. And yes, that car is planned to arrive stateside.